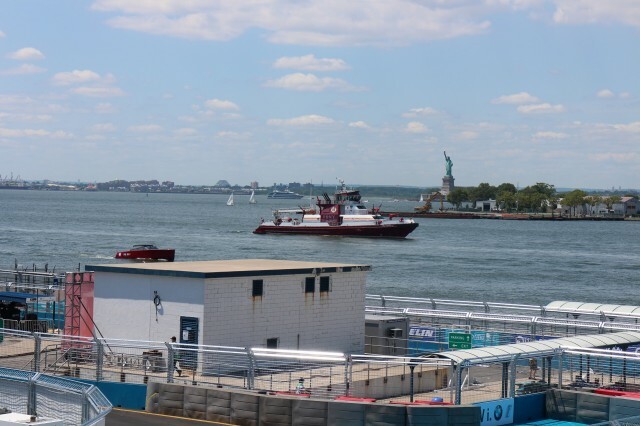 We've just spent a packed, very hot weekend at the New York City ePrix, the first time the FIA Formula E electric-car racing series has come to the country's media capital. 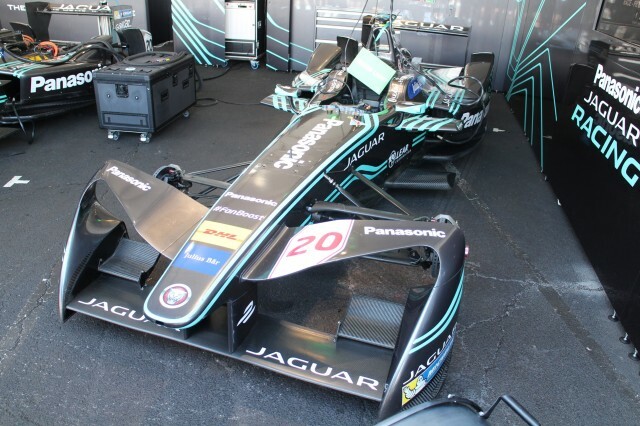 It was our first Formula E race, and like many who follow electric cars, we learned a lot. More than that, we got a better sense of why this racing series is important, and what it means for the future of electric cars. First, however, a primer on what the series is and how it works seems indicated—because these were things that were all somewhat new to us. There was a lot to take in, and we decided to do it in the form of a numbered list. The first lesson will likely be the one that surprises racing fans the most. (1) This is real racing, as many racing journalists and fans have discovered to their surprise once they've actually attended a race. (2) The open-wheel single-seat cars roughly resemble those in the Formula 1 Grand Prix series, much larger and infinitely more profitable, that's also run by the FIA. (3) Formula E is a truly global race series, and China is a big part of it. 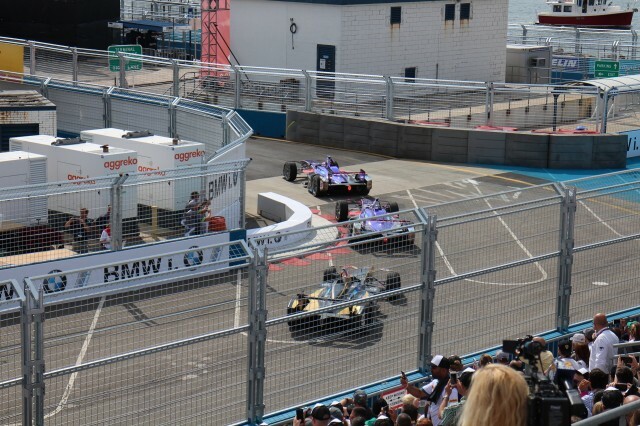 The New York City ePrix we just attended was the second-to-last race in the series; it wraps up in Montreal in two weeks. (4) The field is limited to 10 teams, which are largely European and Chinese, both startups (Faraday Future, Nio) and established makers (Audi, BMW, Renault). No U.S. or Japanese makers take part. (5) As in other series, the cars are often built and teams are run by third-party operators whose sole business is building race cars and competing in them. (6) Unlike most other series, these are "spec cars" with identical battery packs supplied to all teams. in which the teams can only vary certain components. Presently, those are the rear suspension, electric motor, gearbox, differential, and most importantly, the control logic. (7) Future seasons are planned to give the teams more and more leeway to change additional components. (9) The races aren't silent: spectators hear lots of motor and electronics whine, there's tire noise you can't hear in regular racing, and the clattering as the cars go over the rattle strips on the insides of chicanes is remarkably obvious. (10) Each driver has on his steering wheel 10 buttons, six paddles, several rotary knobs, and a display screen he can scroll through, in addition to headsets in which the team tells him how to adjust the car's speed, regeneration, and other settings. (11) While it has many of the trappings of an F1 race, including multiple VIP areas with copious champagne, expensive wristwatches, and as much French, German, and Chinese as English, Formula E remains—at the moment—the red-headed stepchild against its glamorous older sibling. We'll have more on what the race series means in coming days. Audi, BMW, and Jaguar provided transportation, meals, and hospitality to enable High Gear Media to bring you this first-person report.